Perhaps you are a shopping procrastinator -- one of those crazy people who get high off paying a gajillion bucks for overnight shipping from Amazon. Well, this week Karly and I are making it our mission in life to help you spend some skrillaz without resorting to praying for the Fedex god to have mercy on your feet dragging soul. Before you know it, Chrishannzakuh will be all up on you like white on rice, so get jiggy with it and put some ho ho ho in the holiday with one of these scintillating gifts. $100 will buy a lot of shiny golden goodness. 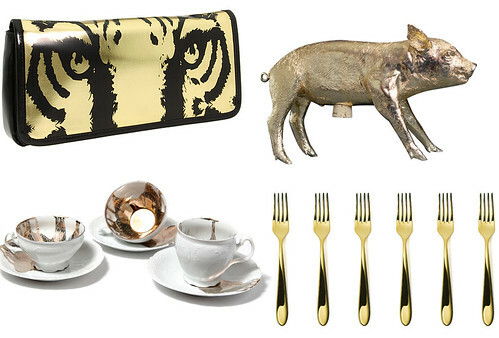 Clockwise from top left: Betseyville Lucky Stripes clutch $62 | Harry Allen Pig Bank $99 | Set of six gold forks $84 | Tobias Wong gold leafed porcelain cup and saucer set $75. 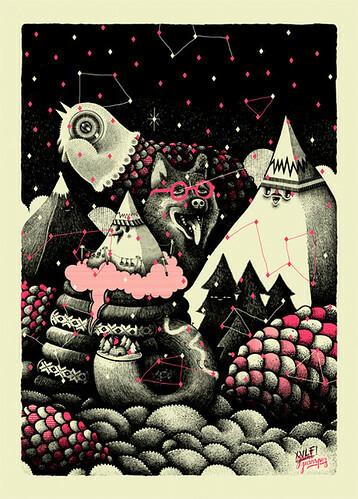 Super excellent limited edition 20x28 poster by art collective Jeanspezial $87. 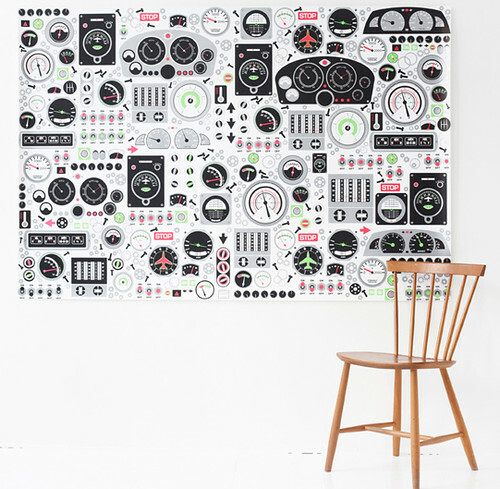 Enormous switchboard poster for bebes or grownups who dream of flying $62. Boys love toys (and girls do, too). 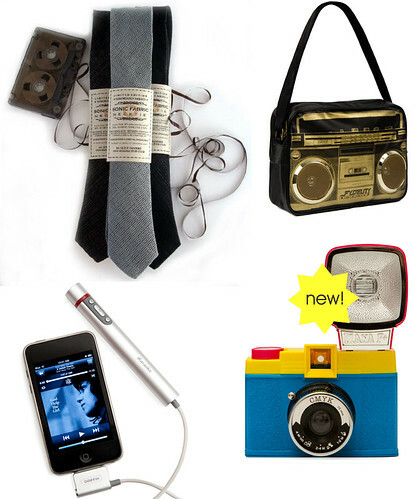 Clockwise from top left: Recycled cassette tape tie is audible if you run a tape head over it $90 | Le Boombox bag comes with a built in amplifier $56 | Diana camera in pretty primary brights $99 | iKaraoke $60. 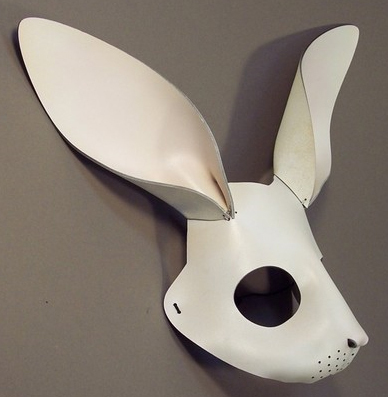 Amazing handcrafted leather rabbit mask by TomBanwell is good for the naughty and the nice. $69. I wanna rock! Gold and silver Mini Modern stacking rings $90. 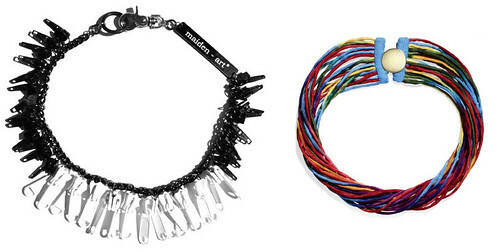 Cool jewels. Zipper necklace $69 | Painted silk necklace $75. I am a wee bit obsessed with scarves. 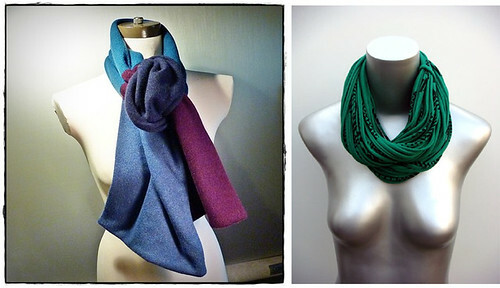 Reclaimed colorblock cashmere shawl by hautegoat $72 | Necklush $62. That's because scarves are AWESOME. 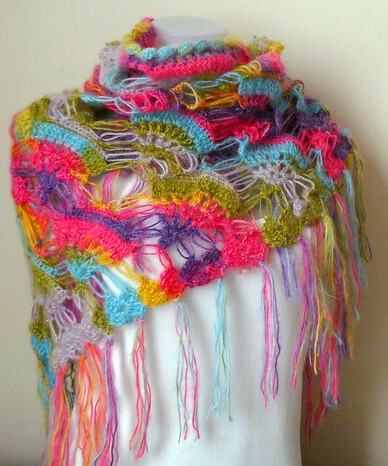 Mohair shawl by sweetknitting $72. He's baaaaack! 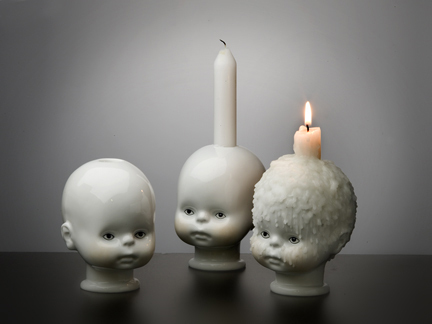 Little Joseph is sure to warm the cockles of your heart with his sweet lovable creepy baby face $99. 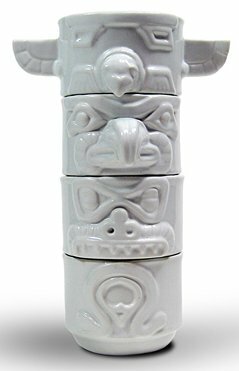 I have had a major crush on these stacking Totem cups since I saw them here. Buy them. Ship them to me. $59. Housewares in eyepopping colors make holiday entertaining fun. Vodka helps, too. 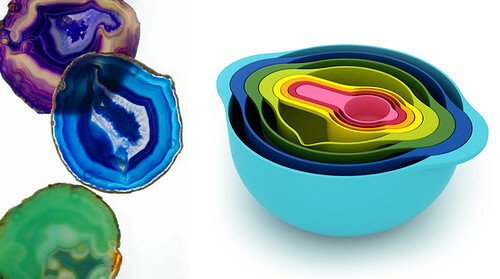 Agate coasters $55 | Eight piece nesting bowl set includes a colander and measuring cups $58. 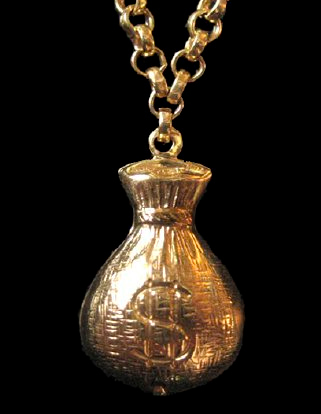 Calling all ballers... Gold plated Recession Necklace $65. Just because you don't have a million bucks doesn't mean you have to look all scroungy and poor. Alright highrollers, let's face it -- in this economy $100 is a lot of money. But hopefully you found the perfect something to tempt you to crack open the rusty old wallet and shower your family and friends with money love. And if you're really Scrooge Mcduck just aswim in gold coins, then tune in tomorrow for the Under $500 edition.